Going to be on an extended holiday break. Want to wish a special Happy Birthday today to Alex Pitko, 95 years young. OK, OK, who is Alex Pitko? He was an outfielder who played for the Phillies in 1938. OK, OK, what is special about being 95? First of all, a number that high has to be special. 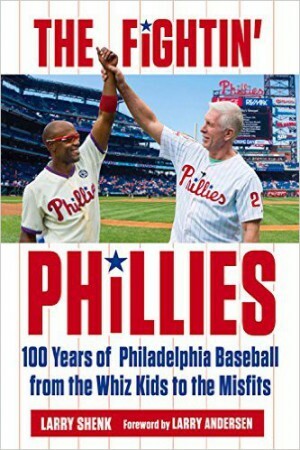 Secondly, he is now the second-oldest living Phillie, trailing first baseman Art Mahan who turned 96 back in June. Well, Alex is actually tied with Stan Benjamin for the second oldest. Among all major leaguers, he’s in the top 10 as far as age. Pitko, born across the Delaware River in Burlington, NJ, now resides in Mesa, AZ. His career with the Phillies was brief, .326 in 7 games (19 AB) as a right fielder. Next year (1939) was his last in the majors, four games with the Washington Senators (.125). Pitko originally signed with the Philadelphia A’s in 1936. “Went to spring training with the A’s in Williamsport (PA) and was assigned to Portsmouth (OH),” said Pikto, whose memory is as sharp as a tack. “Only trouble, the roster was filled and I was left behind when the team went on the road. I thought the heck with this so I went back home to New Jersey. “Played semi-pro ball for the Florence (NJ) Pipe Foundry. After a game there in 1937, a Phillies scout named Patsy O’Rourke, signed me. I reported to Centreville (MD) in the old Eastern Shore League.” Pitko was selected to the league’s All-Star team after hitting .328 in 92 games. He led the league with 103 runs scored and 20 homers. The following spring, the Phillies sent him to Montgomery, AL, and brought him to the majors for the final month of the 1938 season. He made his debut on September 11, replacing Hall of Famer Chuck Klein in right field during an 11-2 rout over the Boston Braves, the first game of a Sunday doubleheader. Back to Burlington and more semi pro ball. The Washington Senators approached him and after saying no twice, he finally signed a minor league contract with them. His American League career included four games with the Senators in 1939. Pitko enlisted in the Army in 1941 and spent six years in uniform. While in the military in Kansas, he met his wife, Anita, a secretary to the commanding officer of the base. Once his military career was behind him, he moved to Kansas and took over a print shop. Anita wound up with a doctor’s degree in business and was a professor at Emporia (KS) State College. When retirement rolled around in 1983, they settled in Mesa. He and Anita have been married 66 years, have two sons, three grandchildren and six great grandchildren. The oldest son, Michael, spent a couple of years in the Los Angeles Dodgers system as a pitcher. His birthday will be spent in Mesa. “We and two other couples celebrate each other’s birthdays by going out to dinner. I still drive, you know.” Cards and phone calls will come from his family that are scattered around the country. One final note: as indicated, his major league debut came on 9/11/38, the day I was born. Sorry, Alex, but I don’t remember you. “I certainly understand,” he chuckled. Let’s see. Charlie was runner-up for the NL Manager of the Year Award in both 2007 and 2008. This year, his Phillies won back-to-back pennants for the first time in franchise history. So, how did he do in the voting this time? He finished sixth. Baseball Writers Association of America voters must have been asleep during the season. Charlie isn’t the only Phillies manager to be ignored by the BBWAA voting since the award started in 1983. Only Larry Bowa (2001) has won the BBWAA Award. AL will be announced on Monday, NL on Tuesday. Doubt a Phillie will be honored by the BBWAA on Tuesday. Big day for Phillies birthdays Thursday: Bob Boone, Dickie Noles, Clay Condrey and Ryan Howard. Well, let’s see what’s going on with the Phillies. Understandingly, fans are really interested in who’s on third, on the bench and in the pen next season. That news will come. The lesser news is happening behind the scenes with various departments: events team is working on the 2010 promotion calendar; creative services, preparing two brochures (season tickets and groups); communications, annual winter tour; sales, focusing on season ticket campaign; advertising, reaching out to incumbent and new sponsors; head groundskeeper, overseeing new turf installation; community outreach, charity events; ballpark enterprises, scheduling events for Citizens Bank Park; facility management, winterization of the ballpark; publications, wall calendar and media guide; pro scouts, checking out the Dominican, Venezuela and Mexico winter leagues; financial, year-end reports; video, finishing the 2009 video yearbook (Raul Ibanez will be the narrator). We learned yesterday afternoon J. A. Happ was runner-up in the NL Rookie voting by the writers. Tomorrow, the AL and NL Manager awards are announced. Speculation is Jim Tracy (Rockies) is going to be the winner. All Charlie has done is win back-to-back pennants. What more can he do to claim this award? Friday is the deadline for adding minor league players to the 40-man roster which means they would be exempt from the Rule 5 draft during next month’s winter meetings. Phillies added three players to that list today. Marti Wolever, Director of Scouting, received the Mid-Atlantic Scouts Association Executive of the Year Award last Saturday in Aberdeen, MD . . . For the sixth straight year, the Clearwater Threshers were honored by the Florida State League with Best Overall Award in the annual Sports Turf Crew Awards. Credit goes to Opie Cheek, the head groundskeeper, who won the Sports Turf Manager of the Year Award for the sixth consecutive year as well. There isn’t a finer playing field than Bright House Field. Both are switch-hitters. Both are from northern California. Both can run and both can field with the best. Say hello to two Phillies Rawlings Gold Glove shortstops, Larry Bowa (Sacramento) and Jimmy Rollins (Oakland). Bowa won the award in 1972 and again six years later. J-Roll today was chosen as a Gold Glove shortstop for the third straight year, passing Bowa for the most trophies for a Phillies shortstop. R-Roll led all MLB shortstops with a .990 percentage. When comparing the two defensively, there isn’t much difference, soft hands, rifle arms, lateral range and accurate throws to first base. Only difference, J-Roll is better on pop ups. Bowa, for some reason, struggled on those plays. Other Phillies shortstops who have won the award include Bobby Wine (1963) and Ruben Amaro Sr. (1964). Both were different. Wine possessed a cannon for an arm with sure hands. Amaro was smooth, with ultra soft hands. Victorino walked away with his second straight Gold Glove. Over the last two seasons, Shane has three errors in 668 chances. Other Phillies outfielders who have won the award include Garry Maddox, Bobby Abreu and Aaron Rowand. 3B Mike Schmidt has the most Rawlings Gold Gloves among the Phillies, 10. Next are Maddox, 8; Rollins, 2b Manny Trillo and 3B Scott Rolen, three each. Things are quiet around the office. Folks who have been working extra hours are getting a break. Plans for a parade went through the shredder. Fans continue visiting the Majestic Clubhouse Store at the park to buy their World Series memorabilia. Did a little early Christmas shopping there this a.m. But, compared to a week ago, the number of shoppers is down. This is to be expected. Clubhouse is also quiet. Duffle bags and boxes, both empty and filled, dominate the floor area. Uniforms are already hung in the storage area next to the weight room. Players can come in on their own to pack. Some will return for 2010, some won’t. Todd Zolecki covered that in his blog. Ruben has begun preparing for next season. Monday, he’ll be in Chicago for the three-day GM meetings. Winter 40-man roster must be finalized by Nov. 20. Zolecki will provide all the Phillies offseason news on this site. To all of you who have visited Phillies Insider this year, thank you, thank you, thank you. This blog ranked 19th among the MLB Pro blogs and that ranking was attained because of you. Always welcome feedback, especially corrections. Congratulations to Zolecki. He’s blog ranked second among the MLB.com beat writers. 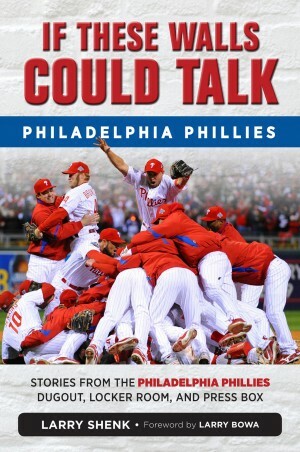 Congrats too to Jenn and her Phillies Phollowers blog. It ranked eighth among fan blogs. Phillies Insider will continue during the offseason but at a reduced frequency. My twitter will continue, too. 2009 National League Champions. Still has a great ring! Our effort to repeat as World Champions has come to an end. Only three NL teams have been there and done that: 1975-76 Cincinnati Reds, 1921-22 New York Giants and 1907-08 Chicago Cubs. If it makes you feel any better, the Cubs haven’t won the Series since 1908. We defied the odds in getting to the World Series in consecutive years. Now, we face greater odds in trying to make in three in a row as in the 105 years of the World Series, it has only happened three times in the National League: Chicago Cubs (1906-07-08), New York Giants (1911-12-13) and St. Louis Cardinals (1942-43-44). If you get to the World Series and lose, you will be remembered. You are totally forgotten if you don’t get there. 2009 was a heck of a season, something to remember for a long, long time. There’s a great deal of pride in being a Phillies fan these days and it was reflected at the turnstiles and merchandise. Thanks to you for your passionate support and for wearing Phillies red. It is felt, appreciated and cherished. So, now we begin eternity: the period of time from the last out of the World Series until the first pitch of spring training. The long-range forecast has the Phillies playing their first 2010 spring training game in Clearwater’s Bright House Field in just four months. That still seems like eternity. Here we are, the first week in November and the first time a Game 6 is going to be played in the World Series in six years. TV ratings for FOX continue to soar. In winning Game 5, the resilient Phillies made sure there would be no celebration in their house in front of their fans. Odds are still against the Phillies to come from down 3-1 to win but this is a special team of special people. They play one game at a time and have won more games on the road than any team this year. It’s a tough, tough team to beat. They’re out to win, win ev-‘ry day. game that’s packed with thrills. Come out to see the Fight-in-Phils. The Fight, Fight, Fight-in Phils! Very fitting description of today’s Phillies. After the Yankees scored a run in their first at-bat last night, Chase let the enemy know the Fightin’ Phillies would be just that. His three-run homer in the Phillies’ first AB sent a huge message. Later, he and Raul homered, runs that would eventually be the margin of victory. Phillies will board an AMTRAK charter train this afternoon for a journey back to New York. The Yankees are working out later in the afternoon. The Phillies will not. But, MLB still wants someone from the Phillies in the interview room at Yankee Stadium. So, Charlie and Pedro Martinez will make an appearance following the Yankees workout. Doug Glanville was a centerfielder for the Phillies from 1999 through 2002 and again in 2004. He also played with the Cubs and Rangers. He played in the 2003 NLDS and NLCS with the Cubs. The University of Pennsylvania graduate resides in Chicago. In his blog, Todd Zolecki questioned if last night’s loss ranked up there with Black Friday in 1977. In my mind, heck no. We had a lead in the NLCS game against the Dodgers. Last night we couldn’t get the big hit. When we trailed by two runs, it seemed like 20. But, this resilient team battled and tied the game before the gut-wrenching ninth. Damon should get credit for the win. He had a nine-pitch AB against Brad and with the shift on for Teixeira, he pulled off the first-ever double-steal in the WS. Utley’s homer was his fifth in his World Series history, which ties Billy Martin for the most by a second baseman. All of the Phillies World Series homers have come with no one on base. Gotta change that pattern. Posada had nine mound visits, plus four others with the pitching coach. That set a record for a World Series game in November. .
Now, we’re faced with winning three in a row. We had 12 winning streaks of three or more games during the season. The Yankees, seven losing streaks of three or more games. Two other WS teams have come back from being down 3-1, 1979 Orioles and 1985 Royals. Time to join the list. Hall of Famers Robin Roberts and Jim Bunning will throw the ceremonial first balls tonight. Jayson Werth, a native of Roberts’ hometown in Springfield, IL, will catch Robbie; J. A. Happ will catch Bunning . . . Delivering the game ball to the mound with a member of the Boys & Girls Club will be Greg Gross. Greg Gross played with the Phillies from 1979 through 1988. During his 17-year big league career, he also played with the Astros and Cubs. His post-season experience with the Phillies included in the 1981 NLDS, 1980 and 1983 NLCS and World Series in ’80 and ’83. Had three key pinch hits in the 1980 NLCS win over Houston. He is the Phillies all-time leader with 117 pinch hits. Now, 57, “GG” is a coach in the Phillies minor league system and resides in suburban Philadelphia.